How to create a quote : Bikmo Guides – How Can We Help? In this help section, we show you how to use your bike values to create a quote. Your quote is built up of a number of values which you need to set in order to ensure your bikes and equipment are covered under the Bikmo policy. You are only covered for the values you state within your quote when you create your policy. Underestimating the value of your bike or equipment may mean that you're not covered in the event of an incident or theft. Simply complete the three steps below to instantly generate your quote. The entry into the post code field needs to be the post code of the address where the bikes will be stored. Bikmo Plus - £250 or 10% of the total sum insured for each bike accessories, clothing & helmets, and bike boxes. 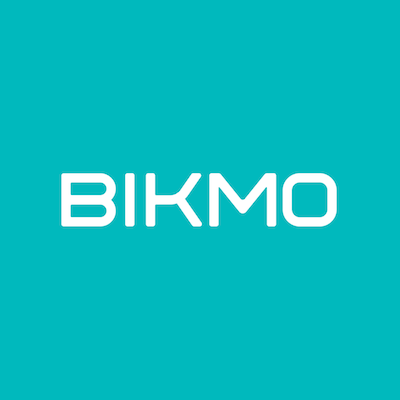 Bikmo Go - £150 for each bike accessories and clothing & helmets. The maximum value away from home is the combined value of bikes that you’ll have away from the house at any one time. If that's just one bike, then it would be the most expensive bike. If you take more than one bike away, then it would be the combined value of those bikes. If you’re single and only take away or ride one bike at a time then this will likely be the value of your most expensive bike. If you’re insuring as a couple and ride together, then this figure may be the sum of both your most expensive bikes. If you race bikes and take away 3 at a time then this value may be the sum of all three bikes you take to races. Bob rides every morning on his road bike before going to work. At the weekend, Bob and Beryl ride their mountain bikes together. Bob’s road bike is worth £5,000. The sum of both Bob and Beryl’s mountain bikes is £4,000. Therefore the maximum value away from the home is actually Bob’s road bike at £5,000. If Bob’s road bike was only worth £3,000 then the maximum value away from home would be Bob and Beryl’s mountain bikes at £4,000. Bert has a time trial bike worth £5,000 and an extra set of race wheels worth £1,500 which he always takes with him to competitions. The value that Bert should put in his maximum value away from home is £6,500, ensuring his extra set of race wheels are covered. Bert also has an aero helmet worth £200 which is covered within his Clothing & Helmets allowance of £650, based on 10% of his total bike value of £6,500. Betty travels a lot with her bike for competitions. She has two mountain bikes worth a total of £4,000 which she travels with, which is also her total bike value at home. Betty has a £300 bike box which she travels with, and a £400 Garmin she rides with. As her total bike value at home is £4,000, she has £400 (10%) of cover for bike accessories and £500 for bike boxes which means both these items are covered at no extra cost under her Bikmo Plus policy. Billy has one bike and commutes daily, whatever the weather. His bike is worth £800, and he uses a £50 cycle computer to time his journey, so as not to get to work early!. He is safety conscious, so bought himself a top of the range helmet worth £140. As Billy has £150 cover for both his accessories and clothing, his computer and helmet are both covered at no extra cost.